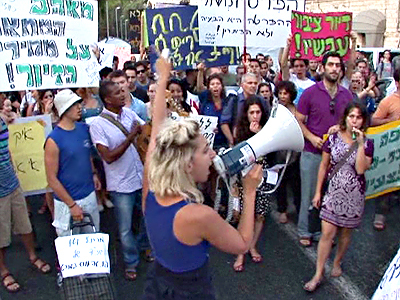 Deprived refugees from Africa who have made it to Israel have found anger and frustration instead of solace, because the government is doing too little to help them, while local protestors blame them for contributing to a lack of jobs. 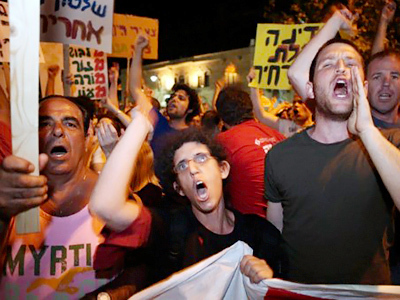 ­In the meantime, Israel is boiling over as calls mount for a fresh round of mass protests across the country. Tent camps and rallies have been in the streets for about a month now, with protesters demanding cheaper housing and social justice. 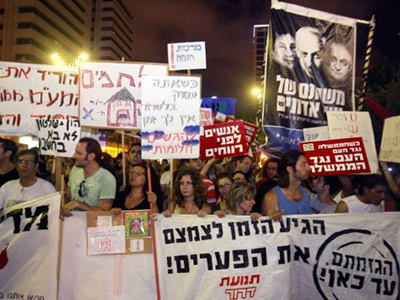 But there is another camp in Tel Aviv, with its activists claiming the Israelis do not understand what a lack of social justice really is. 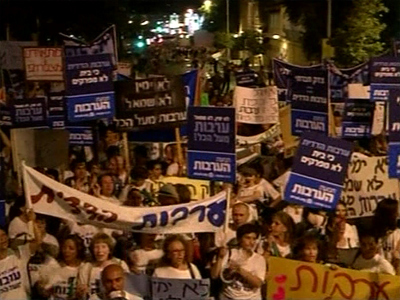 “The Israelis here demand cheaper houses. Good for them, at least they have houses! But we have nothing! We haven't got a roof over our heads, let alone an expensive one!” exclaims Philimon, an Eritrean refugee in Israel. The Israeli protests might be right next door to where Philimon now lives, but it is going to make little difference to his life. He is a refugee from Eritrea, one of thousands who has found his way to Israel. But it is not only cheaper houses that these protestors want. They are demanding a new government – one that will charge less tax, provide free education and cancel the privatization of state-owned companies. These are changes that the poorest neighborhoods of Tel Aviv need the most, but ironically people here are not demonstrating. While thousands of Israelis might be able to pitch up here in protest, many immigrants cannot even afford to buy a tent to live in. “People are not sleeping here every night but it’s a symbol for the difficulty to pay rent, for the economic situation in Israel, and like you say, next to us, people are sleeping there not because they choose to put their ‘tent’ outside, it’s just because they don’t have any other place to go,” reveals Orit Marom, from the Aid Organization for Refugees and Asylum Seekers. In the last few years tens of thousands of refugees and asylum seekers have arrived in Israel – mostly from Eritrea and Sudan. The government simply does not know what to do with them. Most spend their days struggling to make ends meet, while trying not to be picked up by the deportation police. Many of the refugees are too afraid to appear on camera, but those we have been speaking to say they do not feel a part of this demonstration and accuse it of being a protest of the privileged. 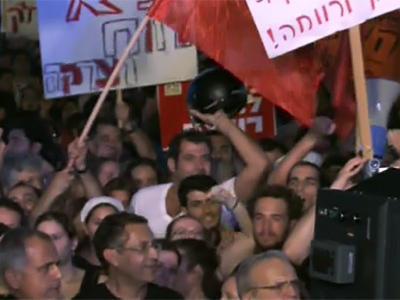 Israeli protestor Danny Peretz blames the government for the fact that he cannot pay his bills. The divorced and jobless builder believes that it was African migrants who took his job. ”All the problems start from the people from Africa. They take all the cheap places and then if I want to find something I cannot,” he says. It is a reality the Africans are all too familiar with. “This place where we sitting is a place where very often the extreme right wing organizes rallies against refugees. So when refugees see white people sitting they feel that they don’t belong to that place,” says Oscar Olivier, a refugee from Zaire. Which means that a protest for social justice has essentially become a protest for only a few. 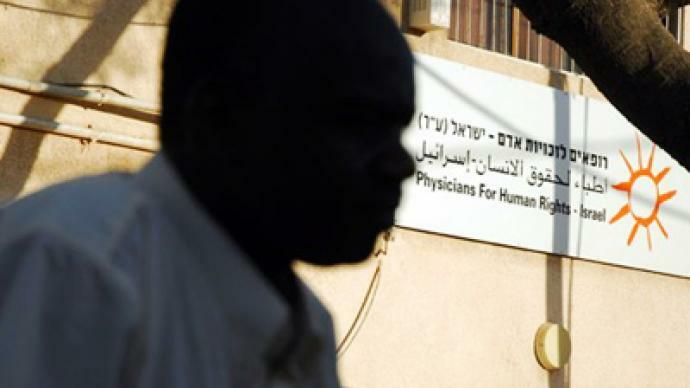 “If you really want to come out for better rights you have to come out for the basic right, for the right of the refugee here in Israel,” says Eritrean refugee Philimon. 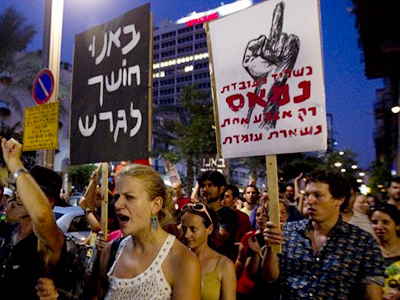 But for now the rights of the refugees are the last thing on Israeli protesters minds as they just want a better life for themselves.